Running through Miller’s distinctive catalog is a combination of virtuosity and song craft. And that’s no accident. His parents were jazz aficionados, not to mention close friends of Les Paul and Mary Ford, so, as a budding guitarist, Miller absorbed valuable lessons from that musical tradition. When the family moved to Texas, Miller deepened his education in the blues with family friend T-Bone Walker. Miller then moved to Chicago, where he played with Muddy Waters, Howlin’ Wolf, Buddy Guy, Junior Wells, James Cotton and Paul Butterfield. That range of sources informs his music to this day. In recent years, Miller has fully immersed himself in the blues and its many byways. As he has always done, he continues to find creative outlets for the full panoply of his musical passions. On his successful tours with the Steve Miller Band, he complements the commercial peaks of his extensive catalogue with lesser-known songs that expand his fans’ awareness of the range of his work. As a member of the Board of Directors at Jazz at Lincoln Center, he has curated and headlined shows that explore themes like the bridge from blues to jazz in the music of guitar great T-Bone Walker; the distinctive sounds of the blues triangle of Memphis, Texas and Chicago; the resonances between the singular musical creations of Ma Rainey and Miles Davis; and the deep American roots music of Appalachia. He is also a member of the visiting committee of the Department of Musical Instruments at the Metropolitan Museum of Art in New York. Indeed, five of his guitars will be displayed in “Play It Loud: The Instruments of Rock and Roll,” a groundbreaking exhibition at the Met that will run from April 8 through October 1 of this year. Los Angeles – February 16, 2018 – It’s been 50 years since Steve Miller Band’s first two Capitol Records albums were released in 1968, and now Miller and Capitol/UMe are incredibly excited to announce the May 18 release of the legendary Steve Miller Band’s first nine studio albums in an unprecedented new 180-gram vinyl box set collection called Complete Albums Volume 1 (1968-1976). Spanning the band’s first studio album, Children of the Future, through 1976’s multiplatinum masterpiece Fly Like an Eagle, the albums have all been remastered and are available now for preorder. Each album is also available for preorder as individual 180-gram black LPs to be releasedon the same date, as well as limited edition 180-gram color vinyl LPs for sale exclusively via uDiscoverMusic.us. The Steve Miller Band’s first nine studio albums have also been newly remastered for HD digital audio (96kHz/24-bit). Starting with today’s global release of Children of the Future, the albums’ HD digital audio debuts will continue weekly in chronological order ahead of the Complete Albums Volume 1 vinyl release. 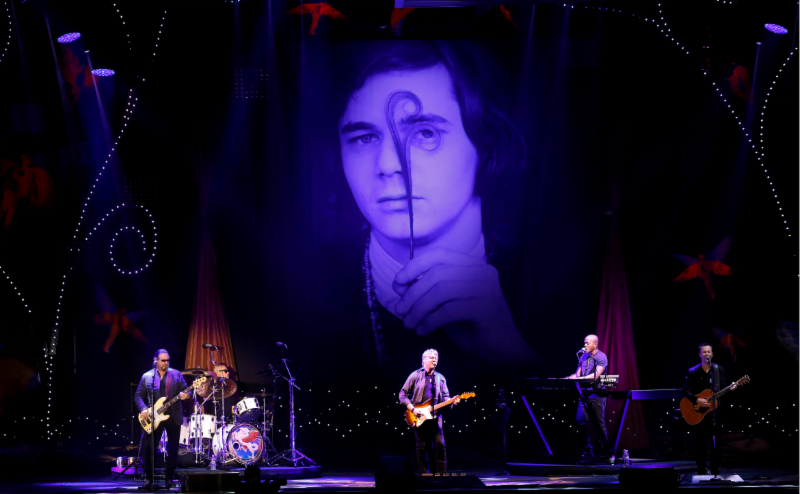 A much-loved summer tradition, the iconic Steve Miller Band has been performing inspired versions of Miller’s incomparable songbook to legions of fans across the globe for many years. Among the many highlights of the tour, the SMB will be performing at the legendary Radio City Music Hall in New York City, the Greek Theatre in Los Angeles, CA, and will be closing out the final day of New Orleans Jazz & Heritage Festival. In conjunction with the tour announcement and on-sale, the band’s concert video for “Stranger Blues” (featuring Peter Frampton, Live from The Pacific Amphitheater, Costa Mesa) debuts today on Vevo. The concert video for “Take The Money And Run” (Live from The Pacific Amphitheater, Costa Mesa) launched on Vevo on February 9. 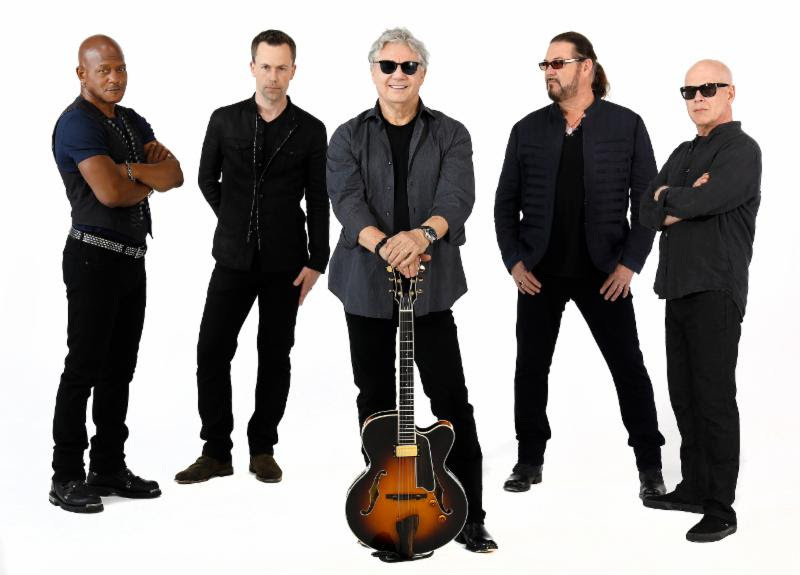 Coming off an extraordinary 2018, Rock n’ Roll Hall of Famer Steve Miller is looking forward to his Spring 2019 tour. Beginning March 12 in Clearwater, FL at Ruth Eckerd Hall and culminating in Southaven, MS at Bank Plus Amphitheater at Snowden Grove on March 24, all performances will be an Evening with Steve Miller Band without any openers. The full itinerary is below. In 2018, besides performing 57 shows across North America with the SMB, Miller himself produced and personally directed the curation and creative process for two new, career-spanning Steve Miller Band Ultimate Hits collections (Capitol/Ume). Ultimate Hits is now available in a 1CD and digital edition featuring 22 essential Steve Miller Band tracks, including three previously unreleased rarities, and in an expanded 2CD and digital deluxe edition with 40 tracks, including the acclaimed band’s top hits, live tracks, and eight previously unreleased recordings from the studio and the stage. Both editions are also available on 180-gram vinyl in 2LP and 4LP deluxe packages. Then, in the ’70s, Miller crafted a brand of rock ‘n’ roll music that was polished, exciting and irresistible, and that has dominated radio through today. Hit followed hit in an endless flow: “The Joker,” “Livin’ in the USA,” “Take the Money and Run,” “Rock’n Me,” “Fly Like an Eagle,” “Jet Airliner,” “Jungle Love,” and “Abracadabra” among them. To this day, these songs are instantly recognizable when they come on the radio-and impossible not to sing along with. Running through Miller’s catalogue is a combination of virtuosity and song craft along with melodic vocals and signature guitar riffs. His parents were jazz aficionados — Les Paul was his godfather — so as a budding guitarist and singer, Miller absorbed valuable lessons from their musical tradition. When the family moved to Texas, Miller deepened his education in the blues, meeting T-Bone Walker and learning to sing and play listening to him and Jimmy Reed. Miller then moved to Chicago where he played with Muddy Waters, Howlin’ Wolf, Lightnin’ Hopkins, Buddy Guy and Paul Butterfield. In addition to touring with his band, Miller is also contributing his time to serving on the visiting committee of the Department of Musical Instruments of New York’s Metropolitan Museum of Art and as a board member of Jazz at Lincoln Center, where he curates and hosts shows at both institutions celebrating blues, jazz and early American music. From 2015 – 2017, Miller and guitar legend Jimmie Vaughan presented seven sold out shows at JALC: “Ma Rainey Meets Miles Davis,” “T Bone Walker – A Bridge From Blues to Jazz,” and, with along with harmonica virtuoso Charlie Musselwhite, “The Blues Triangle: Memphis, Texas and Chicago.” In 2018, Miller with Marty Stuart presented two sold out shows at JALC called “Music from Appalachia.” More Steve Miller Band tour dates and album release and compilation news will be announced in the coming months. 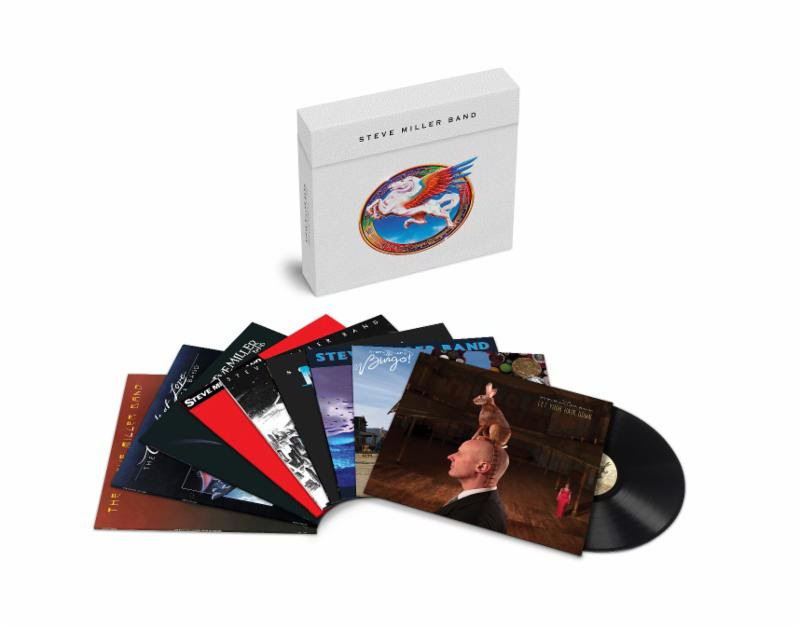 Preorder Steve Miller Band’s Complete Albums Volume 2 (1977-2011) vinyl box set; the nine individual 180-gram black vinyl LPs; and the nine limited edition 180-gram color vinyl LPs. Complete Albums Volume 2‘s nine studio albums have also been newly remastered for HD digital audio (96kHz/24-bit). Starting with tomorrow’s global release of Book of Dreams and Circle of Love, the albums’ HD digital audio debuts will continue with two titles per week in chronological order ahead of the Complete Albums Volume 2 vinyl release.